One thing I really love about living in DC is showing out-of-town visitors around. 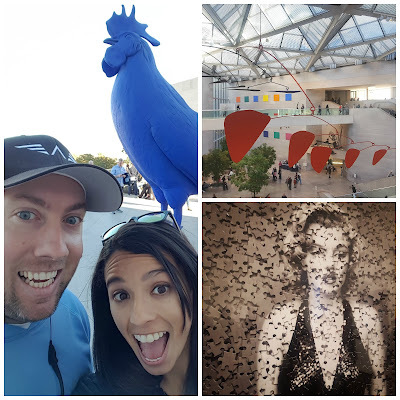 I love taking friends and family around the Mall, to the museums, and to all of my favorite places around DC. It's also a great excuse to bring people to places that I haven't tried yet! 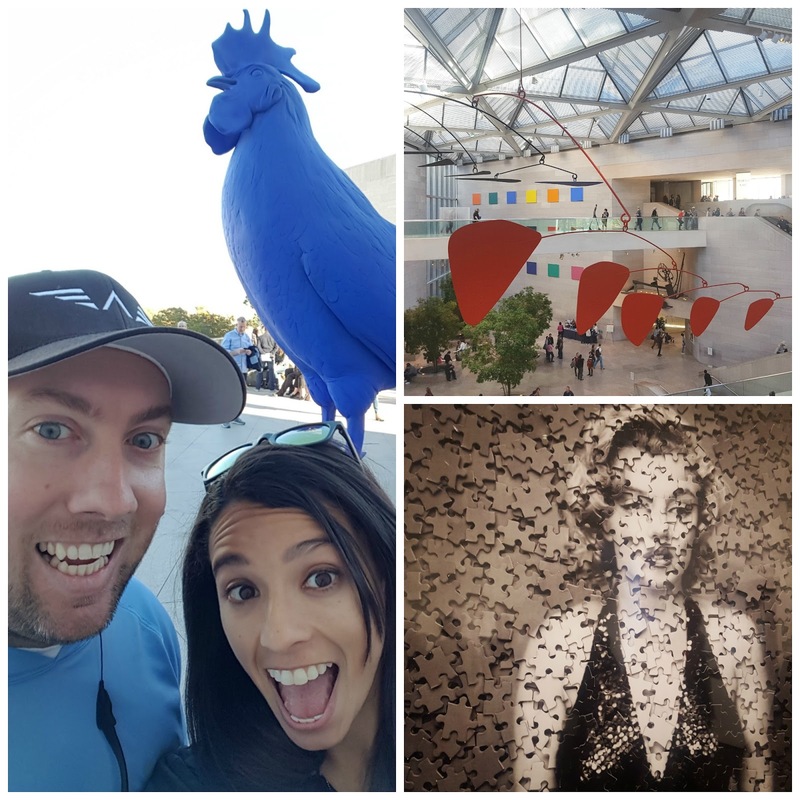 Over the last few weeks, The Pilot and I have hosted a few friends and have had a great time exploring DC with them! 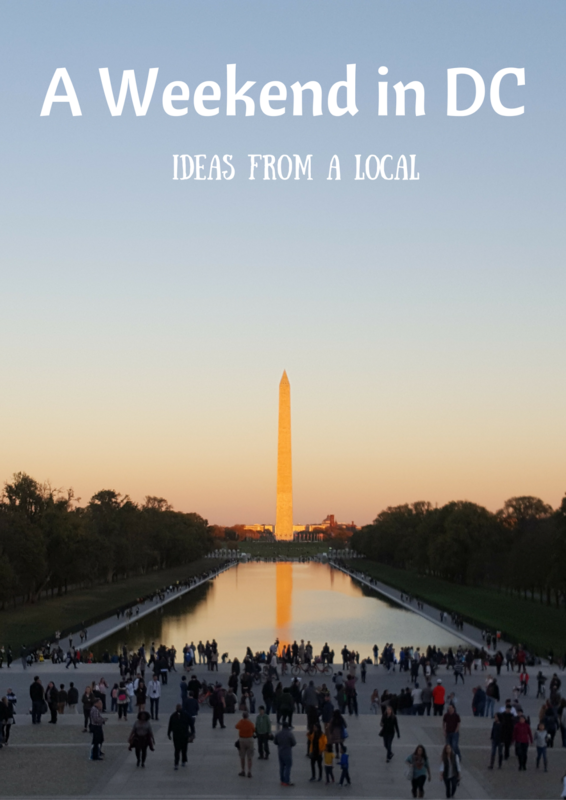 I know that DC is a popular destination, so I've pulled together a list of some of the things we've gotten up to to inspire your next trip to DC! The Library of Congress When my friend Steph and I went to the Library of Congress for a tour, I was so mad that I had never visited before. I run passed the Library almost every time I run and it's pretty sad that it took me nearly 4 years to get there, but I finally did! 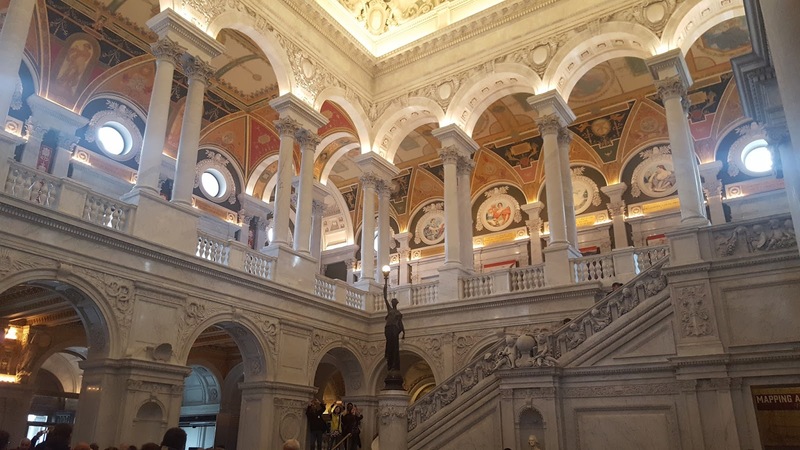 The Library of Congress is easily the most beautiful building in DC...inside and outside. I couldn't believe how beautiful it was! We took a (free) tour which lasted about an hour, and was a fantastic way to learn about the history of the Library and fully appreciate everything we were seeing! The East Wing of the National Gallery of Art The East Wing of the National Gallery reopened last month after being closed for renovations for three years. I had never been to the East Wing since it closed shortly after The Pilot and I moved here so I don't know how much the renovations changed the building, but I wasn't disappointed. There are some incredible pieces in the East Wing, and we were lucky to be there for their reopening celebrations this weekend, where they were handing out free sketchbooks and supplies to draw with. I am, by no means, an artist, but I took the opportunity to sketch something I liked and it was surprisingly therapeutic. I may have to make this a frequent occurrence! Penn Quarter/Chinatown This neighborhood is one of my favorites in DC. 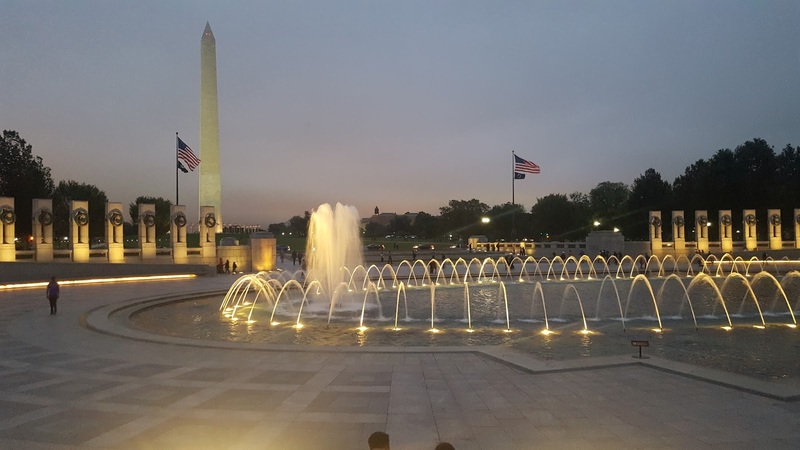 Home to the Verizon Center, the National Portrait Gallery (one of my favorites), the International Spy Museum, Ford's Theater, and so many other things to do, there's a lot beneath the surface of this DC neighborhood. The barbecue at Hill Country BBQ is out of this world and the cocktails across the street at Jose Andres's Oyamel are heaven. I love A Baked Joint for lunch and excellent coffee, but Compass and La Colombe are great spots for coffee too. If you're up for a good workout, Sculpt is one of my favorite studios for either spin or yoga. The Kennedy Center Most people don't know that you don't need tickets to visit The Kennedy Center. It's open to the public and well worth a trip! 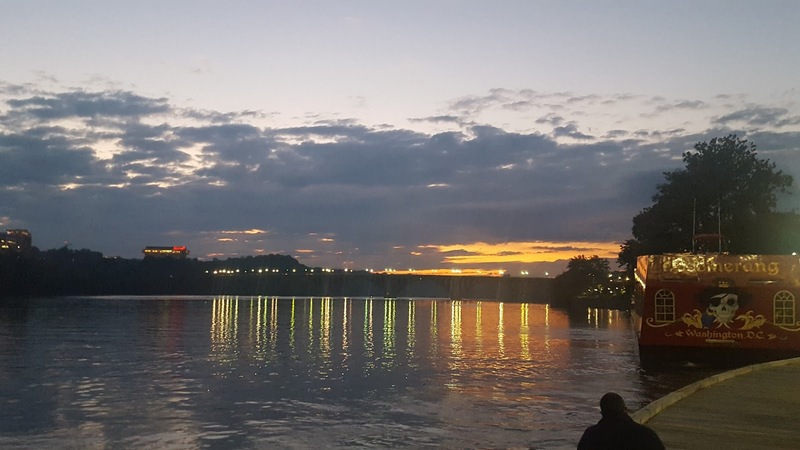 The views of the Potomac are stunning, especially at sunset, and you can always catch a free performance Millennium Stage performance every day of the year. The IMAX at the National History Museum The National History Museum is a must for just about everyone on a first trip to DC, but they usually show some pretty great films at the IMAX. I saw "National Parks Adventure" last month and it instilled in me an insane desire to visit all of the national parks in the US. If you're ever caught in DC on a rainy day, or are tired from walking the entire length of the Mall, take a break and check out an IMAX! The Monuments at Night If you come to DC and have limited time to see the monuments. Do it at night. I promise it will be worth it. If you can sneak in at sunset, that's ideal. DC has unbelievable sunsets. I honestly think the only place I've seen better sunsets is in Sydney. This is obviously a very condensed list, but these are just some of the things I've gotten up to lately while friends have been in town! What are your favorite things to do in DC? 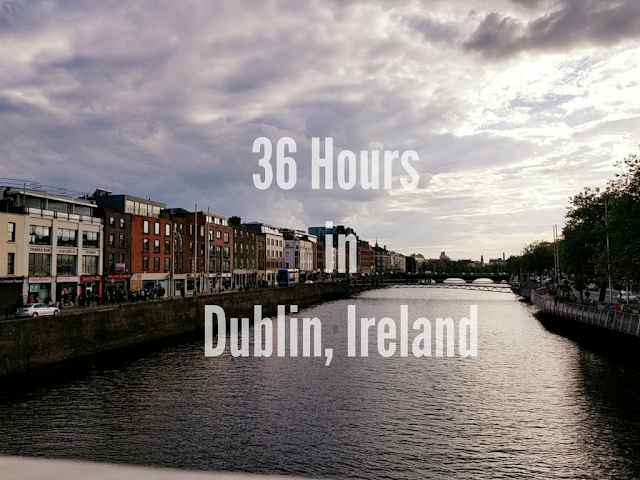 What do you show friends when they visit your city?